Do you use your computer for digital photos? Maps? Staying in Touch with Facebook? Do you use a Smartphone or Tablet and want to learn more? You can just sit back, watch our videos, and learn how to use Google Photos, Google Maps, Facebook, and much more. How would you like to ask computer questions of someone you trust and get detailed, easy to understand answers? What would all that be worth to you? How about $4.80! If you subscribe at $58/yr, that’s what it comes out to by month! This option locks in your low annual price by setting up Auto-Renewal. You must have a PayPal account. If you don’t already have a PayPal account, one will be created for you. All you need is a credit card and a valid email. More info. This option pays for one year only. It does not auto-renew. You will get a notice when your account is about to expire and you will have the option then to renew if you wish. 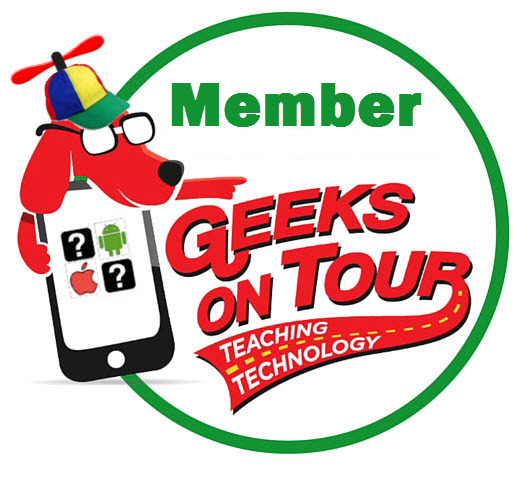 Appreciate all of the features of Geeks on Tour, especially being able to send in my questions and get them answered so well . Am using so many things I learned here. Have two Chromecasts and have slideshows of my 84,000 plus photos playing whenever the TV is not. Also learned how to project things on the computer screen to the big TV screen plus many more things from your classes and your books.